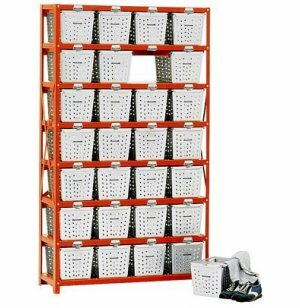 These 70" high basket racks fit 28 individual 9" baskets. 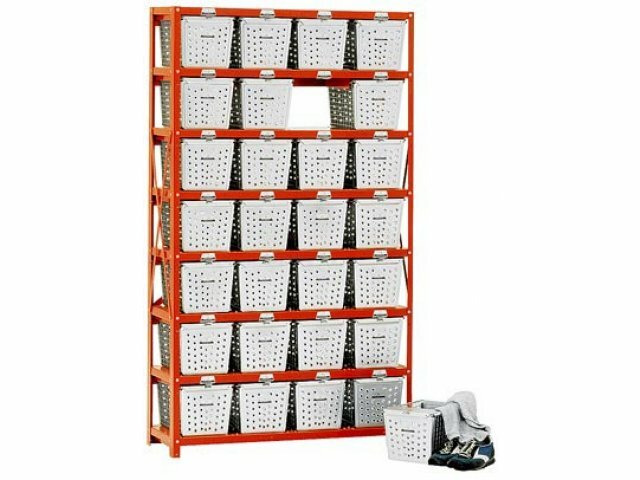 With great ventilation and secure storage, these racks prevent both mildew and theft. Capacity: Fits 28 9" Baskets, sold separately.